At the annual Goed Geld Gala (Good Money Gala) in Amsterdam on January 26th, Sea Shepherd received the biggest donation (8.3 million Euros) in its history. Sea Shepherd’s submitted Dream Project Stop Illegal Fishing in the Southern Ocean was awarded with the required funds to make this dream a reality. Sea Shepherd will use the donation to build a new ship, which will enable the organization to be more effective than ever in the fight against poaching on the high seas. Since 2002, Sea Shepherd has been confronting illegal whalers and illegal fishermen in the waters surrounding the Antarctic continent. Sea Shepherd’s actions have been very successful but the fleet is aging and the vessels are lacking speed. For many years, Sea Shepherd has looked for a vessel that has the range and capability of reaching high top speeds to be the Southern Ocean Patrol flagship. To date, however, budget restrictions have made such a purchase impossible. “Sea Shepherd will now be able to have a custom-designed ship built, capable of achieving speeds that far exceed any of the vessels in our current fleet. After researching possible ship builders for the last two years, negotiations with Dutch ship builder Damen has resulted in a blueprint of our ideal ship”, said Alex Cornelissen, CEO of Sea Shepherd Global. The Southern Ocean is one of the last regions of untouched natural beauty on the planet. Unfortunately we are seeing an increasing number of illegal activities that aim to spoil this pristine environment. Unregulated and illegal extraction of marine wildlife is disrupting the Antarctic eco-system and urgent action is needed. “We are now able to proceed with the purchase of our dream ship and lift our conservation efforts to protect the Southern Ocean from illegal exploitation to the next level. We are extremely grateful to the Dutch Postcode Lottery and the people of the Netherlands for this very generous support,” said Cornelissen. 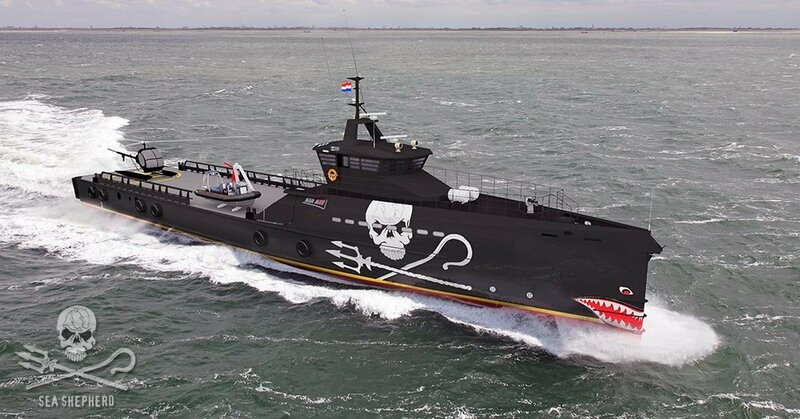 Sea Shepherd received for this project 8.3 million Euros from the postcode lotteries in the Netherlands, Sweden and the United Kingdom. The Dutch Postcode Lottery contributed 7.5 million Euros. Further to the Dream Project, Sea Shepherd once again received a check for 900,000 Euros from the Postcode Lottery, bringing the total donation that Sea Shepherd has received from the Lottery since 2007 to the incredible amount of 15.5 million Euros. In collaboration with Sea Shepherd’s 11th Southern Ocean Defence Campaign, Operation Icefish, Living Ocean scientists Colette Harmsen, Bia Figueiredo and Jake Parker will undertake a study of the ingestion of plastics by marine life caught or entangled in fishing gear used by poachers in the waters of Antarctica. The study is part of a research project that will investigate the extent of plastic pollution in the Southern Ocean, conducted in accordance with Antarctic scientific research permits issued to Living Ocean by the Australian Government. Aboard the Sam Simon, the scientists will dissect and study dead Patagonian and Antarctic toothfish, seabirds and other marine life that has been killed as a result of illegal toothfish fishing operations. The collaboration also includes a recognised world authority on plastic ingestion by seabirds, Dr Jennifer Lavers of the Institute for Marine and Antarctic Studies in Tasmania. Dr Lavers will perform further, land-based, analysis on plastic samples collected with a view to publication in scientific journals. Based in Sydney, Australia, Living Ocean is a charity that promotes the awareness of human impact on the ocean, through research, education, creative activity in the community, and support of others who sustain ocean health and integrity. The first gillnet brought onboard the Sam Simon contained a variety of deep sea plants, animals and rocks which were photographed and examined by the science team. The following organisms were seen in the first gillnet: toothfish, grenadiers, skates, jellyfish, sea stars, sea urchins, star fish, eggs, rocks, seaweed and crabs. 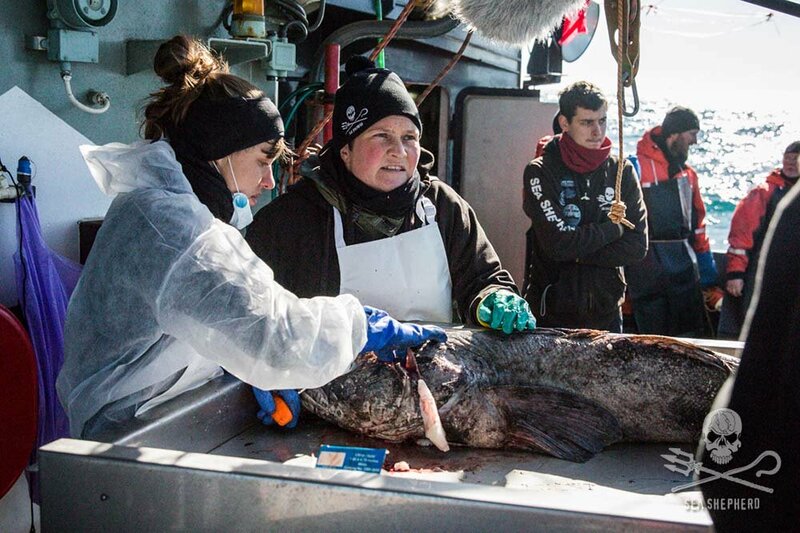 Ten of the numerous toothfish that were in the first gillnet were set aside for dissection and gastrointestinal flushing by scientific officers Colette Harmsen and Bia Figueiredo. The fish were weighed using a sling and hanging scale and then transferred to the custom-built science table where their length was recorded and they were dissected to remove the entire gastroinestinal tract. Each tract was then flushed through a series of sieves to collect solid items and to examine these for plastic and other items. The items were placed in specimin collection jars with 70% ethanol and set aside for examination under the dissection microscope. 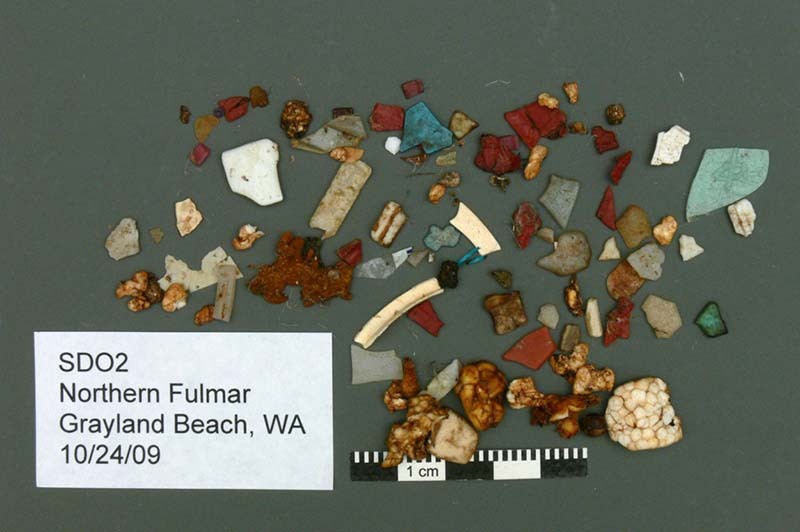 The following items were collected from the sieved gut contents, and photographed and examined under the microscope: fish otoliths, eyeballs (possibly but not certainly fish eyeballs), internal nematodes (parasitic gut worms), small crustaceans, unidentified cartilagenous disks, eggs of unknown origin, whole fish and parts of fish (possibly bait fish from the gillnet), coarse sand, squid beaks and a small white item that looks like a piece of plastic. The data collected will be shared with collaborators on return Australia. All information gathered is important because of the overall lack of data about ecosystems in these remote areas. We retrieved hard corals from the gillnet and their presence indicates seamounts on the ocean floor. Seamounts are ancient underwater volcanoes and are unique deep-sea features that create habitats thought to have high levels of endemic fauna, productive fisheries and benthic communities vulnerable to man-made impacts. Many seamounts are isolated features, occurring in the high seas, where access is limited and thus biological data scarce. Read more about Sea Shepherd’s collaboration with scientists from Living Ocean during Operation Icefish. 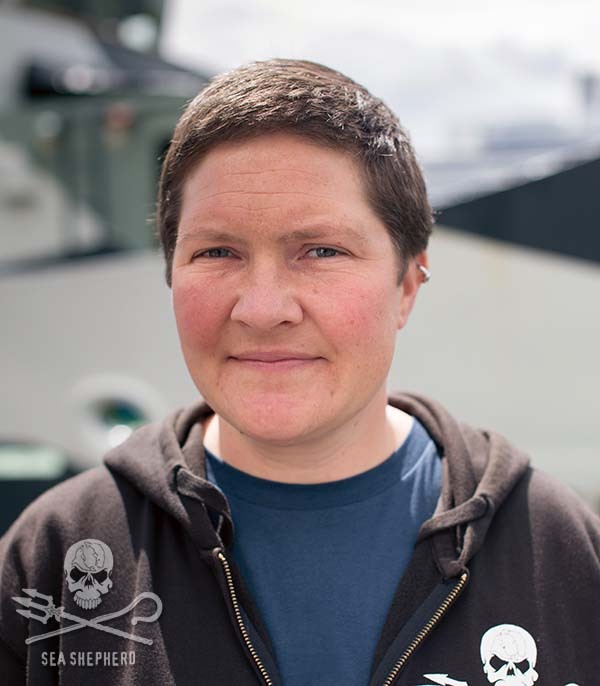 Scientist and Medical Officer, Colette Harmsen, on board the Sam Simon.